Liz Cumby is president of Cumby Consulting, a med-tech training and education group delivering optimal performance for staff and surgeons on emerging medical technologies. Her engaging, team-oriented style comes through clearly in her approach to training. Liz works with the company executives to understand the strategic business goals, and then, using her custom methodology, builds a relevant, innovative and targeted learning system that includes all learners and brings the team efficiently to the desired goal. 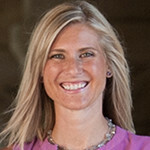 For the last ten years, Liz has developed world-class, highly scalable training systems, sometimes even starting from essentially no training programs and a brand new salesforce to building effective, engaging learning programs using various modalities (online learning, hands-on, in-person, and distance learning). Her passion is educating medical professionals by making complex material easy to digest and learn quickly to meet strategic objectives and ensure patient safety.